When the Luftwaffe was announced to the world in 1933, the first chief of staff was Lt. Gen. Wever. Like the American Gen. LeMay, Wever was a proponent of the heavy long range bomber. He felt that the Luftwaffe needed to look beyond the battlefield and be able to offer a strategic force that could strike out a thousand miles or more from their bases. He started the development of a number of four engined long range bombers, similar in capabilities to the early B-17s. Unfortunately, Lt. Gen Wever died in a plane crash in the mid 1930s and with him died the long range strategic bomber. Several years later, in 1938, Luftwaffe planners realized that they would need a long range heavy bomber. One that could strike at anywhere in the British Isles and be able to attack shipping at sea. A requirement was drawn up and offered to only one company, Heinkel. It was thought that Heinkel's success with the He-111 would make his firm perfect for this new bomber. This started the ball rolling on one of the most dismal chapters of wartime Germany's aircraft industry. Some of the more serious problems encountered by the He-177 were fires in the air, structural failures and aerodynamic troubles. Though several hundred bombers were eventually produced, they were generally disliked by the crews and a constant nightmare for mechanics. Many of the problems of the aircraft came thanks to the Austrian corporal running the country, the insistence of trying too many new ideas, and the desire to make the plane perform too many other tasks. For instance, this was a heavy bomber and a very large aircraft. The high command also wanted to make it capable of dive bombing (!) and there was even a destroyer version designed and built. The plane was also designed with an evaporative cooling system that used the wings as a radiator. That was not very successful and caused engine overheating and fires. It was eventually done away with, but not after losing a lot of development time. Probably the biggest SNAFU was the use of coupled engines. In theory, having two engines driving one gear box and one propeller would provide an aerodynamic benefit. However problems with the engine overheating and gearbox fires plagued the aircraft. Add to it a generally weak undercarriage and you had an aircraft that was doomed to being mediocre. Heinkel eventually had a 'normal' four-engined bomber designed using most of the 177 airframe, but by that time, it was too late and the need for a long range bomber was past. When I first heard of this kit being produced, I couldn't believe it. It was one of the last aircraft I thought would be kitted in a modern version. 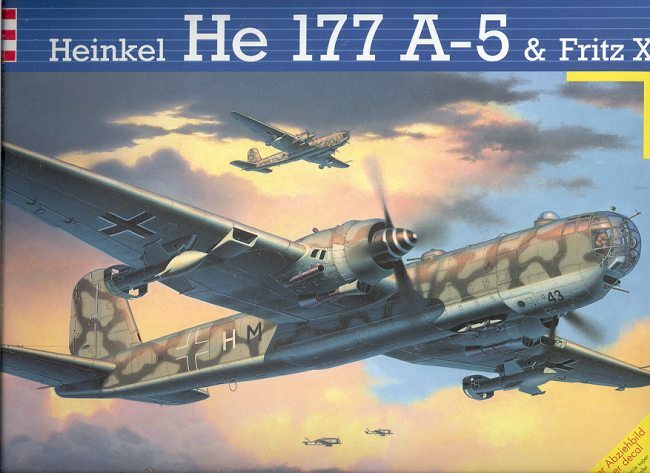 Before this, we had the adequate, but antiquated Airfix He-177. I had built this kit way back when I knew nothing about scraping seams, cleaning mold lines, using filler or airbrushes. This beast was hand painted with all of its faults and was a real favorite of mine for a number of years. Then news of this kit reached me about 6 weeks ago. My interest was reignited in the aircraft and I started reading up on it, awaiting the day it would arrive and hoping I could afford it. Well, it came in a few days ago at my local hobby shop, and a friend and I braved the snow to go and pick it up. First of all, the best part of it is that it is only $16.00. 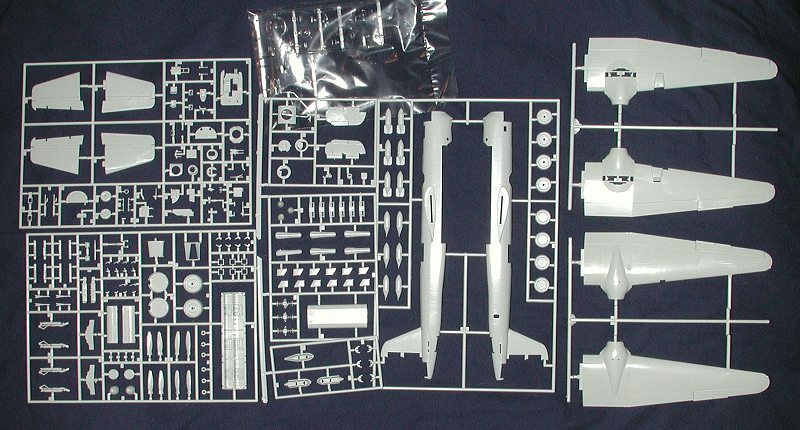 Were this to be a Hasegawa kit, it would cost $40 or more. The box was bulging with beautifully detailed plastic. According to the box, 234 parts. This will not be a quick 'shake and bake' kit. The detailing is everything one has come to expect from Revell of Germany over the last few years. It is superb. There were a few sink marks in some of the thicker pieces and a few ejector pin marks on the usual gear doors, gear struts and the like, but they appear to be easy to clean up. The sprues were in three separate bags, one of them for the clear bits, one for the wings and one for the rest of the pieces. Unlike the Airfix version, this one carries 3 Fritz X glide bombs. The kit can be built gear up or down as you would prefer. There are also 6 bombs for the bomb bay, of which only 2 are called for in the instructions. The kit is listed as skill level 5 and I can see why. The cockpit itself is superbly detailed with lots of little bits. It would be hard to think that an etched brass or resin detail set could improve on what is already there. Frankly, this is one detailed kit. The instructions themselves are 24 pages long and have 64 construction steps. Color callouts are given where needed during construction and are referenced to Revell or Humbrol paints. Three of the colors have to be mixed. 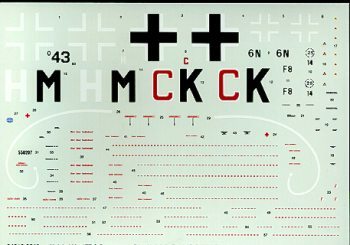 There are decals for two aircraft, both with KG 40 in France in 1944. Both have very intricate and interesting camouflage schemes. KG 40s aircraft were known for having unique paint schemes, and Revell have picked two very interesting one. The decals are made in Italy, are semi-glossy and seem superior to the usual Revell of Germany decals. It will be interesting to see if Aeromaster picks up on this kit and does any aftermarket ones. These aircraft were widely used in Russia as well as France and carried some interesting schemes while operating there. Overall, this kit is a real value. Where else can you get this quality for this low a price? Heck, it is cheaper than the Tamiya 1/72 Bf-109E! Due to the myriad of small parts and the involved construction, this one has to be left to those possessing pretty high skill levels and is not recommended for the 'slap together' crowd. If there was a kit of the year competition, this one would have to be near the top of the list. If you haven't gotten yours yet, then why not? Additional note: Reader Marco Valerio Bonelli sent in this ".....you failed to notice a couple of "big" problem of the kit that are quite noticeable and that have a strong influx on the final shape of the model respect to the true machine. The first one, and the most problematic to correct are the wings, whose leading edge are too angled back, resulting in a too small chord at the tips (the oil radiator is also not correct in plan). The second one are the aft fuselage turret (of very, very, too big diameter than the original) and tail turret, that looks not enough deep and not enough bubble on top. The bubbled tail turret is one of the caracteristic of the He 177." Anyone else notice this?